Now this is a really fantastic tribute to the talents of all four Gibb Brothers (Barry, Robin and Maurice Gibb of the Bee Gees and solo singer Andy Gibb), for so many reasons. Firstly, and probably foremostly, this album has been created by the sons and daughters of the four brothers, along with Berry Gibb-Rhoades, the granddaughter of the brothers' sister, Lesley. This gives the album a real personal touch, which adds significantly to its impact, especially as the Gibb Collective all appear to be talented musicians in their own right. Secondly, it brings a completely fresh interpretation to a small selection of the brothers' best songs, which is a perfect way to pay tribute to these great and talented artists. And finally - and this is a very personal reason for me - the Gibb Collective has selected some really deep cuts, rather than the usual collection of the most famous Bee Gees hits. Yes, some big hits are there (I've Gotta Get A Message To You, New York Mining Disaster 1941), but the Collective has selected some of the greatest songs the brothers wrote, regardless of whether they were hits. I can only thank them for that! Highlights of this album are 'New York Mining Disaster' by Samantha Gibb (Maurice's daughter), which is a haunting interpretation of the Bee Gees first UK hit, and is the perfect opening song. 'Don't Fall In Love With Me' by Spencer Gibb (Robin's son) is lovely to hear as this is one of the Gibb Brothers' most beautiful songs and his interpretation entirely does it justice, helped no end by his emotional vibrato vocals. Stephen Gibb's (Barry's son) interpretation of Maurice Gibb's 'On Time' is a superb, electric guitar-led, country rock song, which takes what was probably Maurice's finest composition and gives it a contemporary sound. It is hard not to fall in love with 'Angel of Mercy', an unused Bee Gees composition from the 1990s, which pulls you into its search for a love lost - many listeners won't know this song, but go with it and you will be captivated. And Robin-John Gibb needs to be congratulated for his version of 'I Started A Joke', which shows that he has been lucky enough to inherit his father's vocal talents. Probably the stand-out song from this collection is the title track, 'Please Don't Turn Out The Lights', sung by the entire Gibb Collective. And whilst I don't believe the lights will ever be turned out on these incredibly successful and gifted brothers, you can't help but be moved by this track. I hope these talented members of the extended Gibb family will get together again in the future and give us some more superb interpretations of great Bee Gees compositions. I, for one, will be very grateful indeed. Why Buy Please Don't Turn Out The Lights? Because the Gibb Brothers' children are a talented bunch, who have produced some fantastic interpretations of a well-chosen set of songs from this massive back-catalogue. It has heart, it has soul. Recommended. UPDATE 30th October 2017: Samantha & Adam Gibb recording "Angel Of Mercy" for Gibb Collective Tribute album. 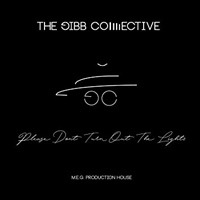 UPDATE 29th October 2017: Travis Gibb of the Gibb Collective shows us a sneak peak of how his song of choice for the "Please Don't Turn Out The Lights" tribute album was created. UPDATE 28th October 2017: Peta Gibb of the Gibb Collective performs a snippet of her cover song "Fool For A Night" written and performed by her father Andy Gibb. UPDATE 27th October 2017: Part 14 of the Q&A is now available. UPDATE 26th October 2017: Part 13 of the Q&A is now available. UPDATE 25th October 2017: Part 12 of the Q&A is now available. UPDATE 24th October 2017: Part 11 of the Q&A is now available. UPDATE 23rd October 2017: Part 10 of the Q&A is now available. UPDATE 22nd October 2017: Gibb Collective Fan Submitted Questions Teaser 3. UPDATE 21st October 2017: This is our "Road To Fallon"! On behalf of the entire Gibb Collective, here are Samantha & Spencer Gibb asking for your help to get on the Tonight Show starring Jimmy Fallon to talk about our tribute record by posting, reposting, tweeting, retweeting, and sharing this video. UPDATE 20th October 2017: A little clip of Stephen Gibb from the Gibb Collective recording his version of the song On Time in the studio last year. UPDATE 19th October 2017: Parts 8 and 9 of the Q&A are now available. UPDATE 18th October 2017: Spencer and Sam were able to put a video together for UNICEF yesterday, being the International Eradication of Poverty Day. Here is a link to the video. UPDATE 17th October 2017: Parts 6 and 7 of the Q&A are now available. UPDATE 16th October 2017: Part 5 of the Q&A is now available. UPDATE 12th October 2017: Parts 2 to 4 of the Q&A are now available. UPDATE 9th October 2017: Part one of a 14 part Q & A series with the Gibb Collective is now available! Part 2 is tomorrow and Part 3 will be on Wednesday, so check back here. UPDATE 7th October 2017: Here is a video tease of “New York Mining Disaster 1941”, announcing that the Gibb Collective are celebrating the whole month of October, which is the anniversary of the original release date of the title track from the new tribute album 'Please Don't Turn Out The Lights'. The song was originally released by the Bee Gees in October of 1972. UPDATE 6th October 2017: Today we are happy to announce that Please Don’t Turn Out The Lights Tribute Album will be released in stores in Germany by the end of this month!!! Stay tuned for the release date!